Quake Live holds a special place in my heart. It’s the only online game I’ve ever been banned from to this day, for apparently cheating. I really tried to understand how my a kill/death ratio lower than the temperature in Antarctica meant I was cheating, but I lost that case. Doesn’t seem like it matters either, because Quake Live has changed. 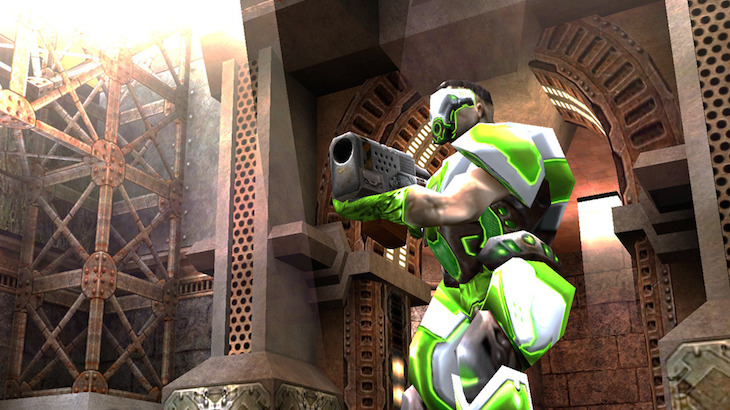 Quake Live is getting a Steam launch very soon, and id Software are changing some of the fundamentals to make the game more approachable to a wider audience. What this really translates to is Quake being made into a modern FPS, rather than sticking to its arena shooter roots. You’ll now be able to select a load out consisting of primary and secondary weapons, which you can switch between at anytime. Ammo is also not racist anymore, with there being no more specific types for different weapons. You can also channel your inner rabbit now,with a new bunny hop movement ability being added. All of these changes are being made to make Quake feel more like a shooter from this day an age, which is apparently what fans want. That’s according to Adam Pyle, producer at id Software. He’s right; this isn’t Quake anymore. This is a modern shooter disguised as Quake, which is probably the worst thing fans could possible hear ahead of the Steam launch. If id Software is so dead set on changing a popular arena shooter into a modern FPS, what are they busy doing with Doom? Makes you think, doesn’t it.